The Lion & The Mouse by Caldecott medal winner Jerry Pinkney is another book we have shared together as we continue to explore a theme of kindness through picture books. Pinkney’s story is an adaptation of the Aesop fable of the lion and the mouse who exchange an important gift – that of setting one another free. This gorgeously illustrated book is basically wordless, the only text are a few sound effects. Each page is so detailed, we found ourselves studying each image closely for clues as to what was happening in the story. We see a humongous lion being disturbed in sleep by the tiny mouse. Despite his irritation, he lets the tiny mouse go free. The mouse races back to her nest and her young. When the lion is trapped in ropes set by poachers, the tiny little mouse repays the kindness offered to her by the lion and gnaws through the ropes, setting the king of beasts free. Pinkney sets his version in the African Serengeti of Tanzania and Kenya. Students were fascinated by all of the animals depicted in the background as much as the close up pictures of our two heroes – the lion and the mouse. How does this book continue to teach us about kindness? Students are clearly understanding that kindness is a choice, articulating that each main character had to decide what to do and chose to be kind to the other. We also spoke about how such a small decision to be kind can have far reaching effects. Students pointed out that not only did the lion save the mouse by setting her free, he also saved her family who was dependent on her. Students connected this story to other stories about the “golden rule” – treat others the way you want to be treated and spoke about karma (that all good done comes back to you.) What a powerful discussion this beautiful wordless story inspired. 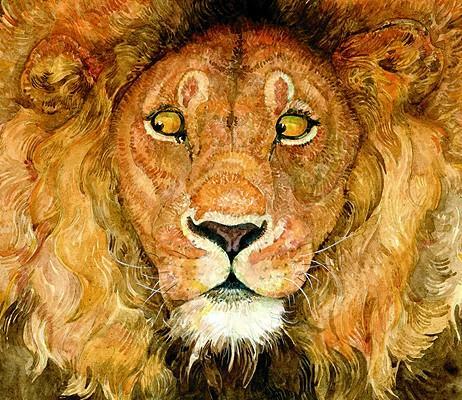 This entry was posted in Uncategorized and tagged asking questions, Caldecott Medal, courage, favourite illustrators, fiction, great read alouds, Jerry Pinkney, kindness, making connections, picture books, wordless by carriegelson. Bookmark the permalink.